Hotel located at the gateway to Abingdon's historic district and the best of Appalachia's history, arts, restaurants, crafts, and businesses. 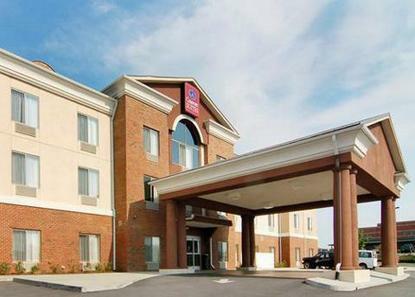 Comfort Suites is the area's newest property featuring an indoor pool/whirlpool, hard wired and wireless Internet access, exercise facility, business center, and deluxe continental breakfast. Please do not request rollaways. Credit card required at check-in. Must be 21 years of age and have valid credit card to rent room. Parking limited to one space per room.